Can’t decide between glitter or metallic heat transfer for your project? 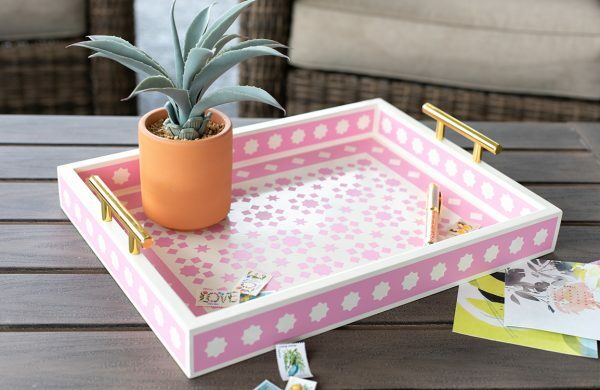 Try combining the two for a beautiful look! Valentine’s Day is coming soon, and there’s nothing as cute as seeing my little valentine all dressed for the occasion. This shirt was simple to do, and the design would work just as well on a onesie or a bigger T-shirt. My daughter was in LOVE with the result! 1. Open the XOXO design (Design ID #283040) in Silhouette Studio®. 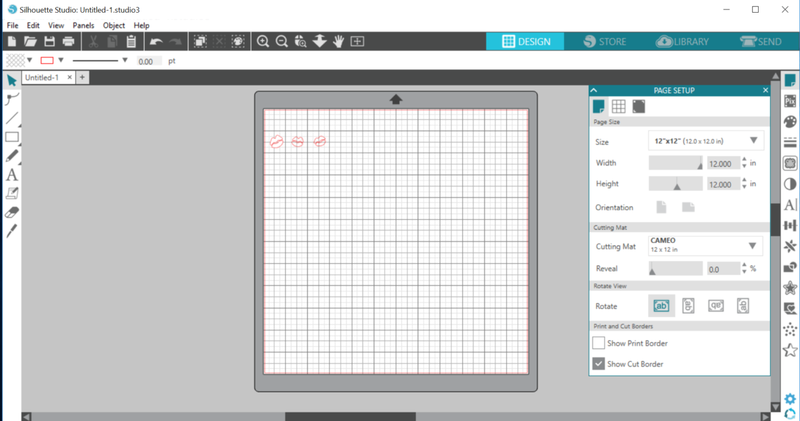 Group and resize your design to fit the shirt you will use. Select the appropriate cutting mat or select “None” if you are using the roll feeder. 2. Ungroup the design. This will allow you to remove the lips from the cutting area, which we are going to cut later. Select and group each set of lips to move the top and bottom lips together. 4. Load the Heat Transfer Material. I used the 12×12 cutting mat. Place the plastic liner side down on your mat and load it into the machine. You can also load your material using the Roll Feeder. 2. Remove the cut heat transfer material from the machine and weed your design using the Silhouette Hook Tool. 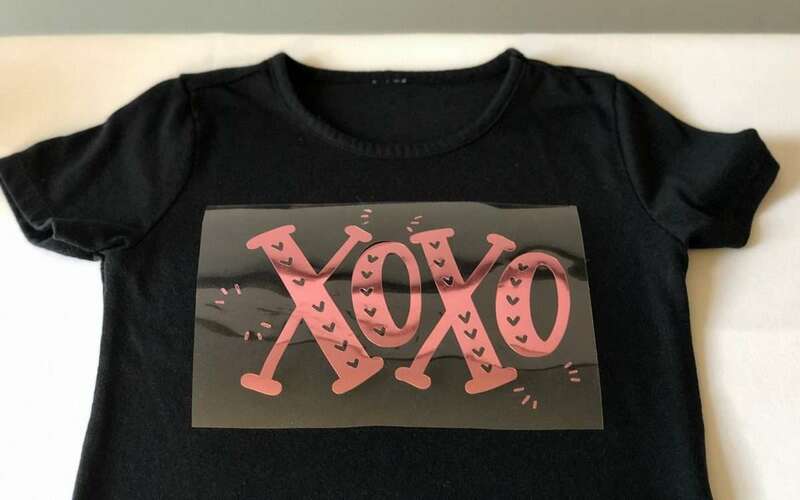 You want to remove the heat transfer that is not a part of your design, including the hearts inside the XOXO letters. I found that the metallic heat transfer was extremely easy to weed. 3. Now we need to cut out our kisses using the glitter Heat Transfer Material. Select and remove the XOXO design in Silhouette Studio® and then drag the kisses onto the cutting area. 4. Don’t forget to mirror the kisses before cutting! Be sure to select “Heat Transfer, Glitter” in Silhouette Studio®. 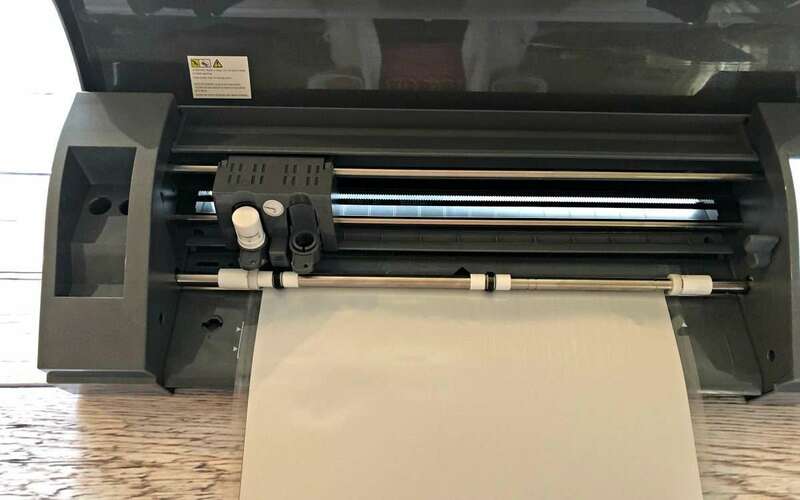 Only a small amount of material is needed for this, so if you have a smaller piece of heat transfer lying around, this is a great time to use it. 5. Remove the excess vinyl around the kisses. Cut the design apart into three separate pieces so that you can place them in the correct spots on the shirt when it’s time. 1. 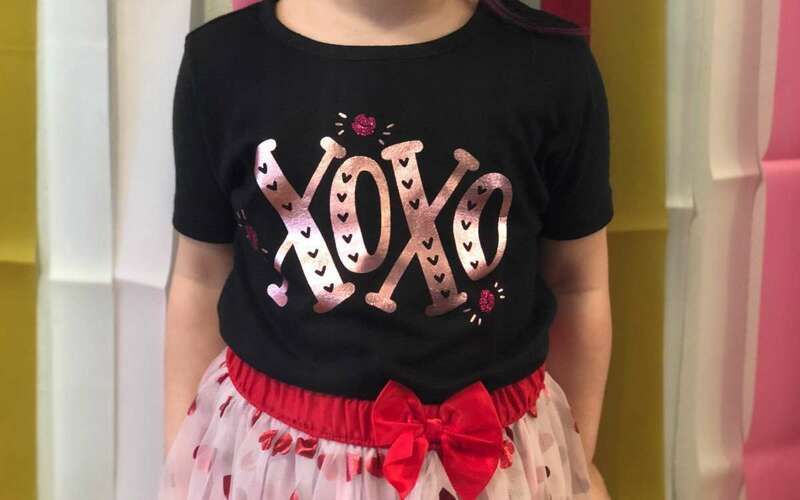 Place the XOXO design on your shirt (plastic side up). 2. Place a cloth or piece of parchment paper between the design and your iron. Make sure that the steam of your iron is turned OFF. Use the heat of your iron to adhere the design for about 60 seconds, and peel off the plastic sheet. 3. Now it’s time to apply the kisses! Place a kiss between the metallic specs on the shirt, as shown. Apply the glitter material the same way you applied the metallic material. 4. Once you peel off the plastic from the kisses, your shirt is complete! 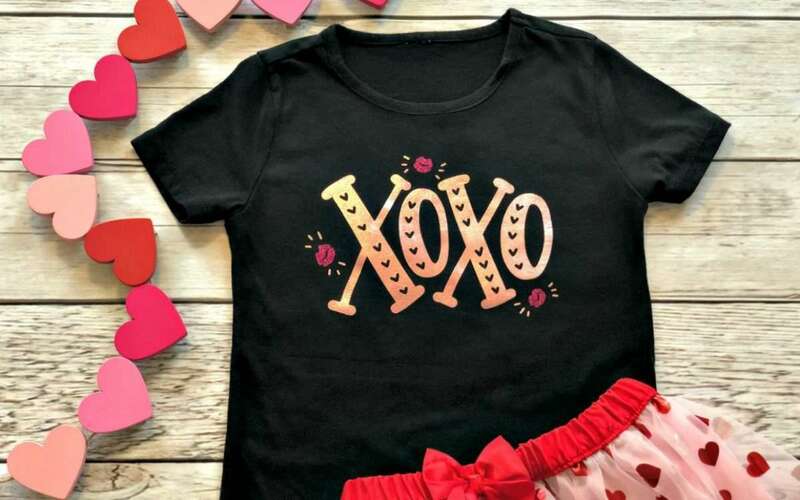 Your little one (or YOU) will be the cutest Valentine around! I hope you have a great time making this shirt! This is adorable! I can’t wait to try it! This is so adorable! It is so much nicer than what you find in the stores. 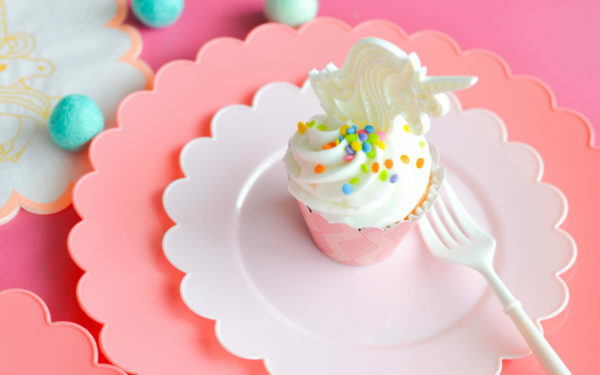 I can just imagine the joy on your little one’s face and I can imagine her twirling around with excitement! I have 10 grandchildren of my own. I searched everywhere to find matching shirts for all of them at Christmas time. That is a larger feat than you would imagine! I ended up getting them all pajamas from a company that I saw on Facebook. If I could have done something like this, I probably could have saved hundreds of dollars. I am not familiar with Silhouette products. Are they similar to Cricuts? I received one of those for Christmas one year, but it is still in the box. I looked up videos about it at the time, and it just seemed overwhelming. When I read through all your steps, they looked very intimidating to me, but your words made me believe that I could actually do it! Do you think that an old lady who isn’t very good with technology would have any success using something like this?